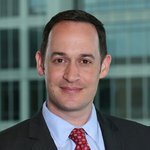 Analysis by Drew Hinkes of Berger Singerman LLP. On June 1, 2015, the Securities and Exchange Commission (SEC) shut down and fined Sand Hill Exchange for acting as unregistered broker-dealers, selling security-based swaps, and offering swaps on an unregistered securities exchange. Sand Hill was a bold experiment: Could a trading platform operated across the Bitcoin blockchain allow parties to trade derivatives based on the perceived value of pre-IPO companies? Although Sand Hill may have accomplished the construction of a functional derivatives market traded over the blockchain, the SEC was unimpressed, quickly shutting it down. The story of an audacious startup skirting regulations viewed by some as overbearing, with the ensuing swift and severe regulatory response may be old news to businesses operating the virtual currency space, but Sand Hill’s saga emphasizes two key points to remember for any business seeking to disrupt regulated financial markets. Sand Hill sold synthetic derivatives linked to the perceived value of unlisted pre-IPO companies. Sand Hill used illegal “Contracts for Difference” (CFD), a contract with a counterparty to settle in cash if the value of an asset changes at a time in the future. Thus, if the projected valuation of a share of pre-IPO “Business X” was $10 when Purchaser obtained a CFD of Business X on Sand Hill, and the valuation increased at the contract settlement date, Purchaser would have earned value that could be liquidated. To skirt the considerable registration burden associated with trading (legal) equities, Sand Hill apparently conducted its transaction activity over the Bitcoin blockchain. CFDs, however, are illegal to sell over any trading medium in the United States. Sand Hill also confessed to having inserted trader “bots” that created the illusion of active trading volume to populate their marketplace. Of course, these bots could also be used to intentionally manipulate values of the instruments being traded. Less than a month after taking its platform live, Sand Hill reported that it was shut down and fined $20,000 for multiple violations of SEC regulations, including acting as unregistered broker-dealers, selling security-based swaps, and offering swaps on an unregistered securities exchange. Notably, Sand Hill stated in its blog that it had customer holdings only in the low thousands of dollars. Co-founder Elaine Ou’s blog post about the SEC shutdown is eye-opening, and captures a zeitgeist common among virtual currency startups: We are hacking the system to make it better and nobody is getting hurt, so regulators, please leave us alone. However, as Bloomberg observed, “Just because you mumble the word ‘blockchain’ doesn't make otherwise illegal things legal.” As Sand Hill, Ripple, and others are learning, regulators will enforce the law against violators regardless of their philosophical ideology, level of funding, or stated intention. Blockchain technology may inevitably reform the financial structures of many markets, but illegal, unregistered activity will always draw the attention of regulators. Innovation based upon blockchain technology may be the future, but that innovation can and should be conducted within the present confines of the law. information regarding the interests and surfing habits of the SEC users of the site, including the IP addresses, those users’ other frequently visited sites, and the amount of time spent engaged with Sand Hill’s service. Predictably, according to unofficial comments, this was viewed as ‘doxing,’ or publishing personal information about the SEC investigators, and considered a serious affront. Sand Hill appears to have used legal means to track the SEC’s investigative behavior. However, from a strategic standpoint, exposing this information publicly may not have been in Sand Hill’s interest. The SEC has considerable regulatory power and can seek injunctions and levy significant fines. Although Sand Hill’s technology and philosophy may be of interest to the virtual currency community, its behavior and the likely effect on its experience with regulators should be noted. Antagonizing regulators is a poor negotiating strategy, even if you are using legal means and public information to do so.No matter the perceived wrong, potential regulatory targets will always benefit from sound legal advice from counsel. Just because you can do it, does not mean you should do it.